I am currently having a love affair with denim. Exhibit A: denim shirt, denim skinnies. To polish things up, I added this plaid blazer. A little business casual twist to my denim staples. Hope everyone had a great weekend. Let’s do this Monday! Tinacious.Me - just loving that jacket you are wearing! Joana Gomes - You look like you’re an English Lit. professor or student. Not sure which one yet. 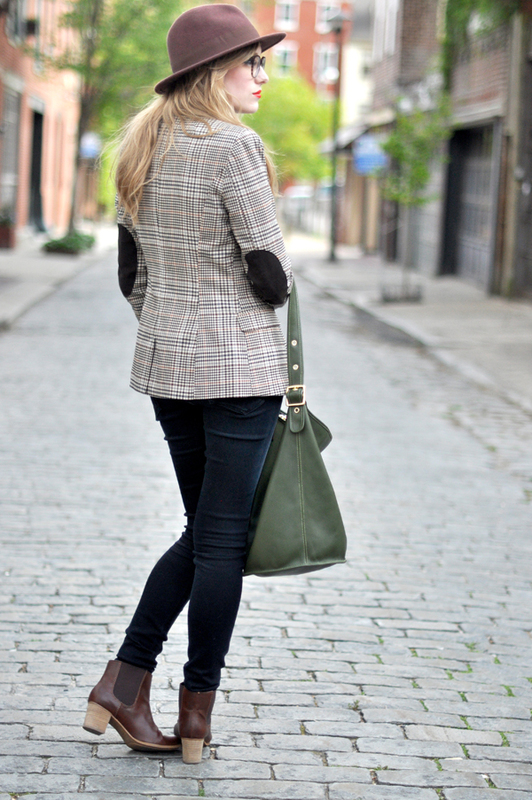 I love the tweed jacket to bits! ruth - oooo, love that bag! Kylee - This is by far the most perfect outfit for the weather here in RI. That blazer and those boots are beyond cute. You always look so cute! Tiana - how and why are you so amazing! your style is flawless and it transcends through so many different generations. you are definitely an icon of mine and i love the look you have today! 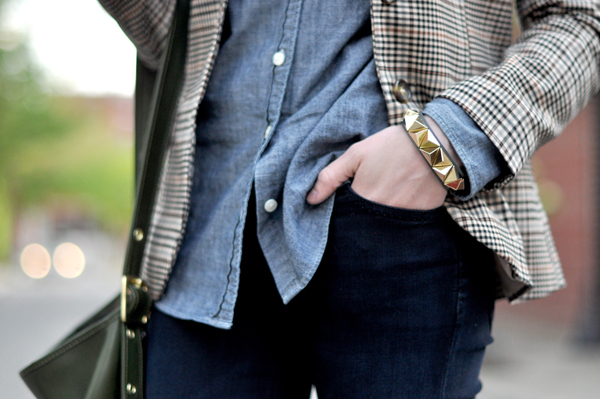 Kat - Love the houndstooth and chambray! Always love the glasses too! I have like three pairs myself, what about you? Bree - Great bag. I love the way the green plays into the outfit. Your photos are always enthralling. Thanks for sharing. Candida - Loving the denim on denim! I have been seriously obsessed with this combo as of late…I’m starting to refer to it as my uniform. I love your add of plaid and great hat to the mix. OtherSideOfTheWorld - Love the entire outfit!Especially the hat,the bag and the blazer! 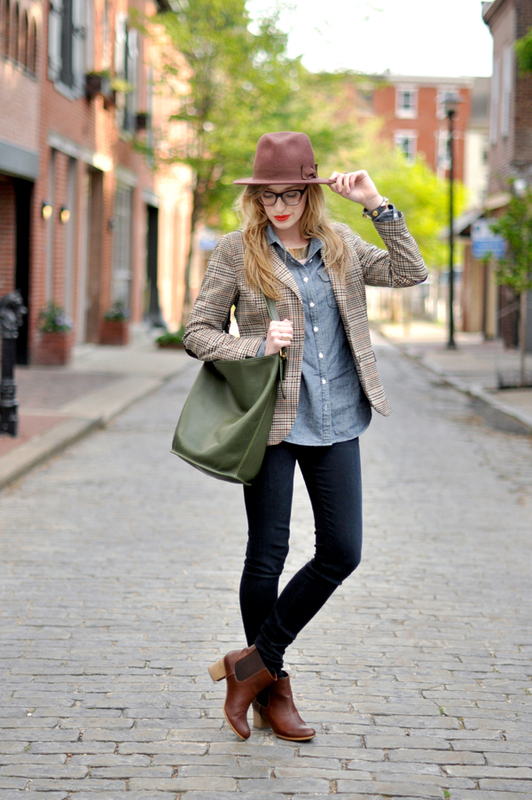 Christy - Love the blazer, and how you style it with jean on jean look. Classic & modern. Giovanna - Cute look! Loving your hat and boots! denise - Love this outfit!! sara - oooohhh…love those boots. i must remember to spend some extra time hunting for shoes when i next go into zara…i feel they hide them!